All tattoo, body piercing and permanent makeup/cosmetic businesses must be permitted and inspected by the local health department. Statewide rules for tattoo and body piercing were adopted in 1998 and Franklin County Public Health uses these rules to permit and inspect tattoo, body piercing and permanent makeup/cosmetic businesses in the jurisdiction of the Franklin County General Health District. The main focus of this program is to prevent the spread of communicable diseases such as Hepatitis, HIV, and Staph infections. 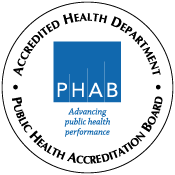 of tattoo, body piercing and permanent makeup/cosmetic businesses licensed and inspected by Franklin County Public Health. Requirements for obtaining operation approval for a body art/piercing establishment. A completed application, the appropriate fee specified on the application, and plan review documentation are required to be submitted to our office prior to opening. The application, plans and documents will be reviewed. You will be contacted when review is complete. If there are any deficiencies, they will need to be corrected before an initial inspection is scheduled. When the application and plans have been approved an inspection of the proposed business will be scheduled. A representative of our office will inspect the business to make sure that it meets all the requirements of Ohio Administrative Code 3701-09 (Tattoo and Body Piercing Rules). When all the requirements are met, the inspector will grant you permission to operate and an Approval to Operate will be issued by Franklin County Public Health. Franklin County Public Health is required to inspect tattoo, body piercing and permanent makeup business once per year. The permit is good from January 1st until December 31st of each year. These permits are not pro-rated, so if you start a business in the middle of the year, you will still have to renew by January 1st. What is the cost of operation approval? The current fee can be viewed in the application. When does my operation approval need to be renewed? Approvals to operate a tattoo, body piercing or permanent makeup business are issued from January 1st and expire on December 31st. Franklin County Public Health will send out renewal applications in early December. Any application received after December 31st will be charged a 25% late fee where applicable. What is a Time-Limited Event? A time-limited event is a tattoo or body piercing business that operates on a time-limited basis, in conjunction with a specific event. Examples of such events are fairs, biker rallies, conventions and other gatherings. This requires operation approval from Franklin County Public Health. What are the requirements for a Time-Limited Event? The requirements are the same as for a permanent business. Please note that we do require a hand sink with running water at these events. If the proposed site does not have access to a hand sink in close proximity, there are portable sinks that can be rented by companies that provide portable toilets. What is the cost of a Time-Limited Event permit? The cost of a Time-Limited Event Permit is $75 per event. 0View the list of inspectors, their contact information and the areas they serve.